The Indigenous Collective is an inclusive, culturally safe and welcoming space for all students who identify as Aboriginal and/or Torres Strait Islander. We stand by the idea that no matter how much milk, honey or sugar you add to tea, it’s still tea. 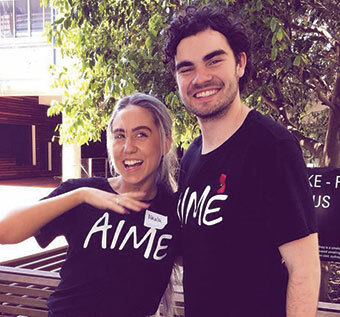 Akala and Thomas will be the office bearers for the 2019 Indigenous Collective, and look forward to meeting and getting to know all the new and existing Indigenous students at the University of Sydney. The Collective is here to support and guide all Indigenous students as they navigate University life. We are here to listen to your issues and ideas, give advice and support as well as be that extra helping hand and friendly face around campus – anything we can’t solve directly, we know where to find help and will be there with you until it is solved. In 2019, we are striving to create an environment on campus that promotes Indigenous voices and creates action through a holistic Indigenous presence on campus across all disciplines, ages, origins and perspectives. We look forward to running multiple event throughout the year both within the University as well as in the local community ranging from Indigenous performances, sporting events and inviting Indigenous elders to campus to pass down their experiences. We look forward to continually amplify Indigenous voices and work towards creating a campus that is cultural aware, competent and engaging.